“This decision is based on a decline in U.S. sales of Essure in recent years and the conclusion that the Essure business is no longer sustainable. Essure is the only FDA-approved non-incisional form of permanent birth control. While we agree that sales of Essure have surely lagged, we do not believe for one moment that the sales are not directly related to the long-term, systemic injuries and health problems Essure users have undergone. Essure is one of the most dangerous products to have hit the market. As of July 25, 2018, more than 16,000 American women have filed product liability lawsuits against the company, Bloomberg reports. In 1998, an American company called Conceptus created Essure. In 2002, the Food & Drug Administration (FDA) approved the sale of Essure, the first non-surgical form of permanent birth control, in America. In 2013, Bayer AG bought Conceptus, and the rights to Essure along with it. The device itself is made of two, tiny, coiled pieces of metal, which are implanted in a woman’s fallopian tubes. Over time, the springs cause irritation, which leads to the buildup of scar tissue. The entire procedure takes about 10 minutes. Both the procedure and the device are supposed to be painless, and Essure is alleged to be 99% effective (according to Bayer). Between 2002 and 2005, Bloomberg reports, “more than 5,000 women filed complaints with the U.S. Food and Drug Administration, saying they sustained injuries or suffered unwanted pregnancies, still births and miscarriages while using the Essure device.” This means that the first complaints were filed between 8 and 11 years before Bayer purchased the company – plenty of time to become aware of potential concerns regarding the device. In 2015, the FDA “convened a meeting of the Obstetrics and Gynecology Devices Panel of the Medical Devices Advisory Committee” to review the “safety and effectiveness” of the devices, given the number of safety concerns and complaints that had been raised. This was two years after Bayer purchased the company and the device. “FDA believes that some women are not receiving or understanding information regarding the risks and benefits of permanent, hysteroscopically-placed tubal implants that are intended for sterilization. This guidance addresses these concerns by identifying labeling components, namely a boxed warning and patient decision checklist, which FDA intends to require as part of the labeling for these devices…. Note the types of significant and/or common adverse events that may be associated with the device and its insertion, use, and/or removal procedure, including those noted in clinical trials, as well as those reported in other device use experience. The FDA also stated that women should be given a patient checklist regarding the device’s safety and risks. This final guidance was issued three years after Bayer bought Conceptus and its rights to Essure. Bayer, reports the FDA, started submitting reports in 2016. In some cases, women have become pregnant while using Essure. Many women have experienced miscarriages. You can find a more robust list of adverse side effects here. I have an Essure implant and I’m in pain. What can I do? We want you to know that you are not alone. There are more than 16,000 pending lawsuits, and we assume there are even more women out there who are suffering. If you have a defective Essure implant, you should seek legal counsel immediately, even before going to a doctor. Why? Because there is no safe removal process for the Essure device, and many women end up sustaining additional injuries when their Essure implants are removed. Though we often advise our clients to seek medical advice if they are hurt – say, in a car accident, or in some other way – in this instance, we recommend you come speak with us first. If you have already had your device removed, and are still suffering, we can still help you. We are currently accepting cases on behalf of women who have sustained permanent and/or long-lasting injury because of defective Essure implants. If you decide to work with McGowan, Hood & Felder, LLC, we will launch an investigation into your case. We will help you collect the documentation you need from your doctors and your insurance company. We can review and prepare any documentation regarding your expenses, your lost time at work, any copays you might have had, the cost of additional medical procedures and treatment, and any daycare costs you have accrued. We will speak to your H.R. department and your coworkers, your friends and your family, to help us build the bigger picture of how this defective medical device has affected your life. McGowan, Hood & Felder, LLC has always fought on behalf of the injured. Our lawyers and professional staff are here to seek justice for clients who have sustained permanent injuries caused by defective medical devices like Essure. We take on tough defective product liability cases in South Carolina, and represent people with cases throughout the country. To schedule your free consultation, please call 888.302.7546 or fill out our contact form. 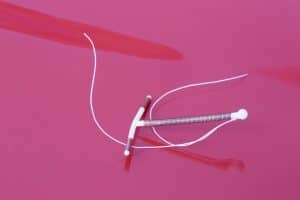 What Injuries are Women Suffering After Having Essure Birth Control Implants?